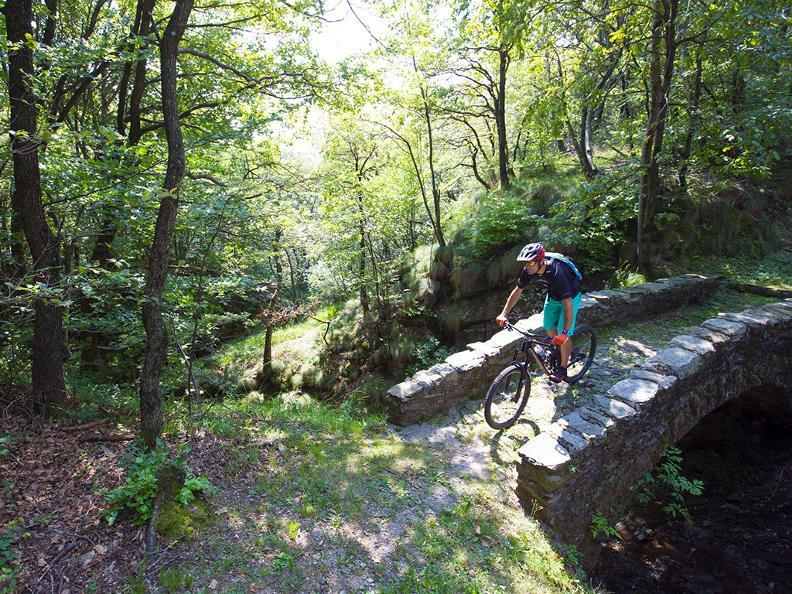 By Rivera to Camignolo, passing the centre of Bironico, the route crosses an inhabited area in which the road surface is almost completely paved and the path is composed of a gentle slope followed by an equally easy descent. The excursion up to Muricce, above Isone, completely takes place on easy roads. Beyond the centre of Bironico begins the climb that follows the main road toward Val d'Isone. Before Medeglia you turn left and there you enter first onto a secondary road and then onto a minor road of the paved route that passes partially through woodlands. The latter road leads up to the mountains of Medeglia, a flat area and a number of stone cottages which invite to a stop. The route continues uphill and, at the junction with Cima di Medeglia, one proceeds on a flat unpaved road up to the top of Cima di Fuori, from where the descent to Isone begins, on a paved road. Here you may be encouraged by the prospect of lengthening the excursion, and one well-noted for hiking, following a charming panoramic unpaved road which culminates at Cima di Medeglia. This stretch of 1.7 km with a height difference of 180 metres is amply rewarded by a 360° panorama! Thereafter from Isone climb up to Muricce where, in the middle of the route along the road, is an inviting and hospitable grottino, a traditional rustic eatery. 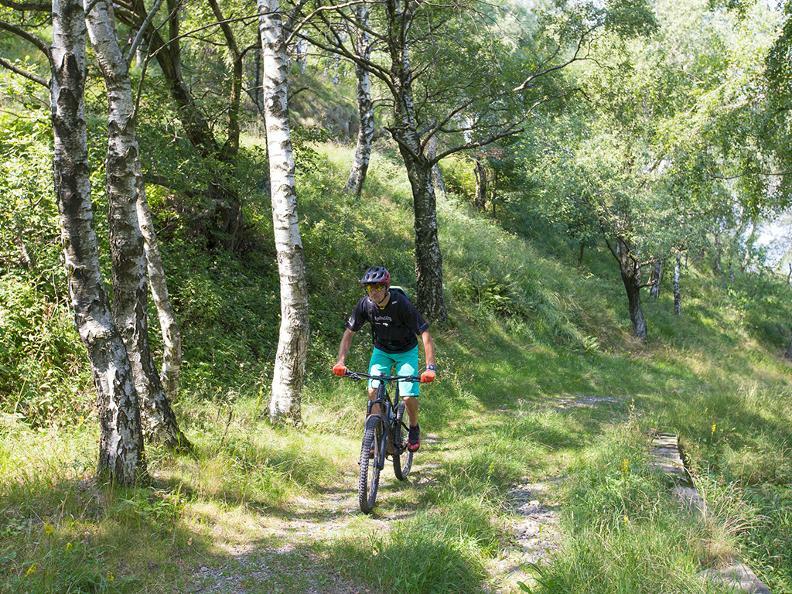 From Muricce, continue along a single trail immersed in vegetation to reach the Agriturismo Alpe Zalto that offers original refreshment and accommodation. 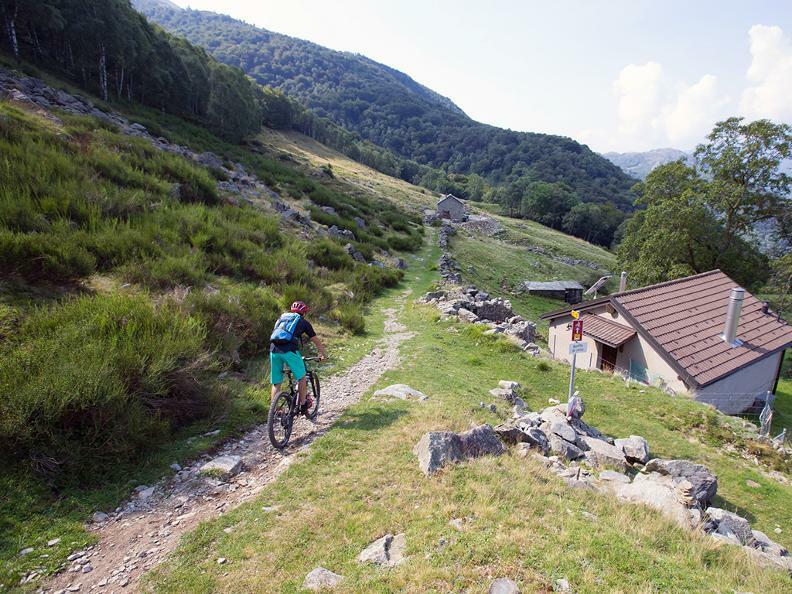 Shortly, you arrive at Gola di Lago, a charming peat bog located in an idyllic spot. At Alpe Santa Maria are various species of farm animals and, if it is open, you can also stop to eat. 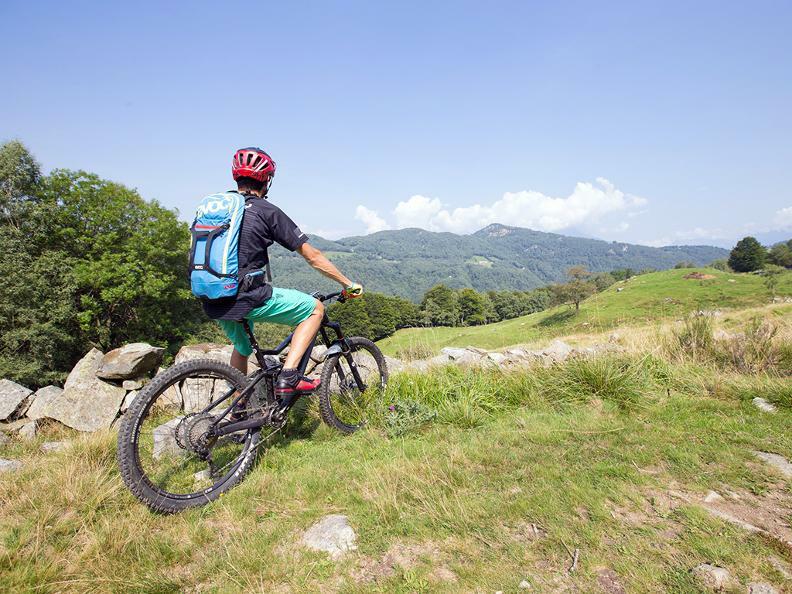 From here you get to Busio via an unpaved road which then leads out onto single trail through the woods that lead up to Camignolo from where you can easily return to Rivera.